Christopher D. Lima, a structural biologist at Memorial Sloan Kettering, is one of 27 biomedical researchers in the country being named a Howard Hughes Medical Institute (HHMI) investigator today. This elite group of scientists, who were chosen from among more than 1,100 applicants, will receive approximately $150 million over the next five years. “It is truly a distinction to have been selected in this rigorous national competition, and it speaks to Chris’s excellence in his field,” says Memorial Sloan Kettering President and CEO Craig B. Thompson. The honor recognizes an investigator’s potential to make significant contributions to science, and provides the long-term, flexible support needed to move research in creative new directions. Established in 1953, the HHMI is a nonprofit medical research organization and one of the largest philanthropic organizations in the United States. Committed to progressing basic biomedical research and science education, its scientists have made important discoveries that advance our fundamental understanding of biology. Dr. Lima’s laboratory uses structural, biochemical, and functional analyses of molecules involved in RNA processing and protein modification with a focus on understanding how these pathways contribute to cell growth and disease. One major area of interest focuses on how cells attach small proteins — like ubiquitin and the related molecule SUMO — to other proteins to modify their function or fate. A second major area of interest focuses on how proteins contribute to RNA stability and degradation. The proteins ubiquitin and SUMO (small ubiquitin-like protein modifier) tag other proteins in the cell to redirect them to certain parts of the cell or to influence their interactions with other molecules. By doing so, ubiquitin and ubiquitin-like proteins play an important role in controlling processes such as cell division, cell differentiation, immune response, and DNA repair. They can also play a part in the development of cancer because cells in which ubiquitin malfunctions can accumulate mutations and begin growing and dividing out of control. In 2010, Dr. Lima — in collaboration with chemist Derek S. Tan and a multidisciplinary team of researchers at Memorial Sloan Kettering — determined the mechanism for how a family of enzymes called E1 activates ubiquitin, shedding light on a complex reaction that plays a key role in regulating cellular behavior. This biological process — and the enzymes that control it — had been studied for 30 years prior, but remained a mystery to researchers in the field until their work was described in two related studies published in Nature and the Journal of the American Chemical Society. RNA, or ribonucleic acid, has numerous functions in the cell including the ability to convey genetic information in a form called messenger RNA, which is read by ribosomes to make proteins. In response to stimuli, the cell carefully regulates the abundance of certain messenger RNA by balancing the synthesis of new RNA against the destruction of old RNA once it has fulfilled its function. Work in the Lima lab has focused on how an RNA-degrading complex called the RNA exosome targets these RNA molecules for destruction. The RNA exosome is composed of many protein subunits that assemble into a unique arrangement capable of binding and degrading targeted RNA molecules. Dr. Lima and his group developed methods to reconstitute functional exosome complexes from humans and yeast and determined the first three-dimensional structure of a human exosome complex that enabled visualization of how exosome subunits come together to fulfill their function. This work was published in 2006 in Cell and continues to serve as the basis for ongoing studies in the lab. Dr. Lima, who joined Memorial Sloan Kettering in 2003, is now among nine total HHMI investigators at Memorial Sloan Kettering, including Jonathan Goldberg, Scott Keeney, Scott Lowe, Joan Massagué, Nikola Pavletich, Alexander Rudensky, Charles Sawyers, and Jennifer Zallen. 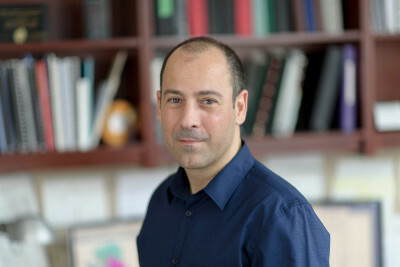 In addition to being a member of the Structural Biology Program at the Sloan Kettering Institute and a faculty member of the Gerstner Sloan Kettering Graduate School of Biomedical Sciences, Memorial Sloan Kettering Cancer Center, Dr. Lima is a professor of biochemistry and structural biology at the Weill Cornell Graduate School of Medical Sciences. He has received numerous awards and honors for his work, including the Paul Srere Memorial Lecture at the University of Texas Southwestern in 2009, the Louise and Allston Boyer Young Investigator Award in 2006, the New York Mayor’s Award for Excellence in Science and Technology in 2003, the Rita Allen Scholar Award in 2003, and the Beckman Young Investigator Award in 1999. Dr. Lima is a member of the New York Academy of Sciences and the American Association for the Advancement of Science. He has been an editor of the journal Structure from Cell Press since 2003. Dr. Lima earned a bachelor’s degree from Ohio State University in 1989 and a doctorate degree from Northwestern University in 1994.